The Colorsteel range has always been inspired by our home – the beautiful, diverse and ever-changing landscape of New Zealand. From the whites and greys of our moody skies to the deep blues of the waters that surround us; from the dusty hues of the earth we walk upon to the vibrant greens of the flora we wander through, our palette has been drawn from this stunning natural environment. 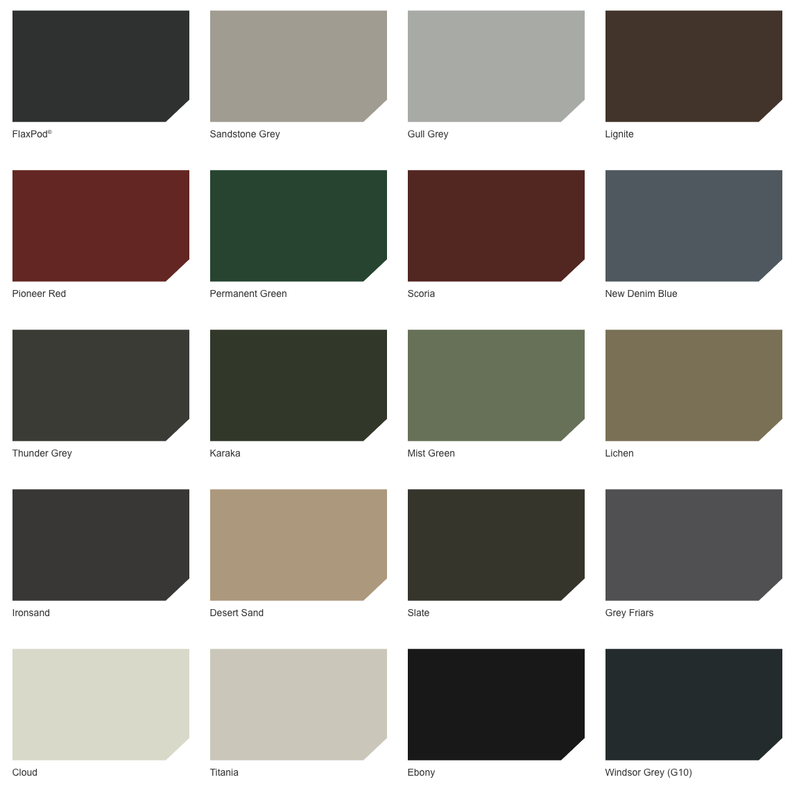 The Colorsteel range is a representation of the colours New Zealanders love most on their roofs. It features a blend of classic, timeless shades and modern, on-trend tones. The COLORSTEEL® prepainted steel colours shown on this site have been reproduced to represent actual product colours as accurately as possible. However, we recommend checking your chosen colour against an actual sample of the product before purchasing, as limitations of web palette colours affect colour tones – To order a steel sample contact us.